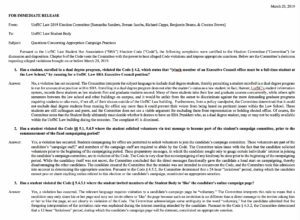 SBA Election Committee met via email on March 24th to discuss a formal complaint that had been submitted. The Committee decision is below. 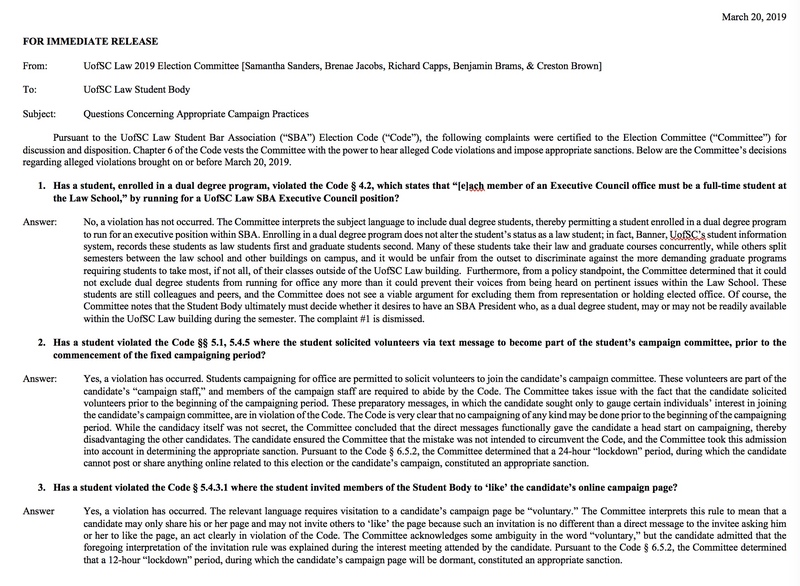 If you have any questions please feel free to reach out to many members of the SBA Election Committee. 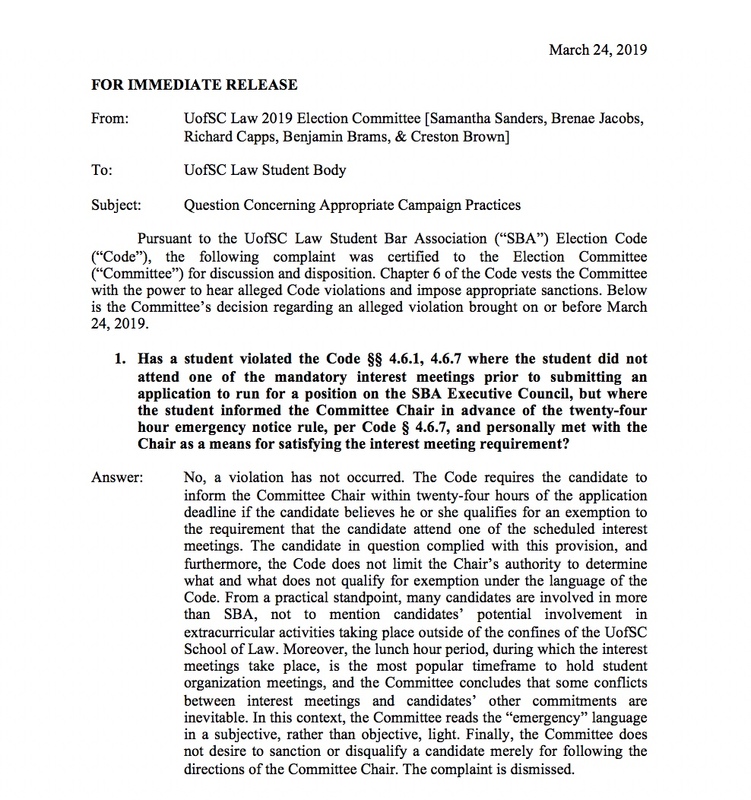 The SBA Election Committee met at 12:30 on March 20th to discuss the formal complaints that had been submitted. The Committee decision is below. 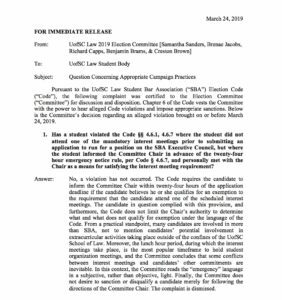 If you have any questions please feel free to reach out to many members of the SBA Election Committee. This entry was posted in Uncategorized on March 25, 2019 by Sam Sanders.